The U.S. timeshare industry witnessed its eighth consecutive year of growth in 2017, according to a new report compiled for the American Resort Development Association (ARDA). The State of the Vacation Timeshare Industry: United States Study 2018 Edition, conducted by EY for the ARDA International Foundation (AIF), showed that sales volume increased by nearly four per cent to $9.6 billion, with an average occupancy rate of more than 81 per cent in 2017. The U.S. is largely seen as the world leader for timeshare and vacation ownership, so the figures are sure to be seen as encouragement for the global industry. Howard Nusbaum, ARDA’s president and CEO, said: “Eight years of consecutive growth attests to timeshare’s unique value proposition for vacationers. Sales volume rose from $9.2 billion in 2016 to $9.6 billion in 2017, nearly a four per cent increase and more than 26 per cent increase since 2013. Rental revenue increased from $1.9 billion in 2016 to $2.3 billion in 2017, an increase of 20 per cent. Average occupancy rate was more than 81 per cent in 2017, compared to the 65.9 per cent average hotel occupancy rate. This higher occupancy rate extends benefits beyond the resort itself and into the local surrounding markets and communities such as spending at local restaurants, purchasing groceries for the fully-equipped in-unit kitchen, and purchasing gas for rental cars. There were 1,570 timeshare resorts in the United States in 2017, representing approximately 205,100 units. About 72 per cent of timeshare units are two bedrooms or more and the average unit size is over 1,000 square feet. Annual maintenance fees averaged $980 in 2017, remaining relatively flat with a one per cent increase over 2016. Other interesting findings from the study include: Beach resorts are the most common type of resort (34 per cent), with island resorts claiming the highest occupancy (nearly 90 per cent). Florida has the highest number of timeshare resorts (373), while Nevada has the largest resorts (249 units on average). 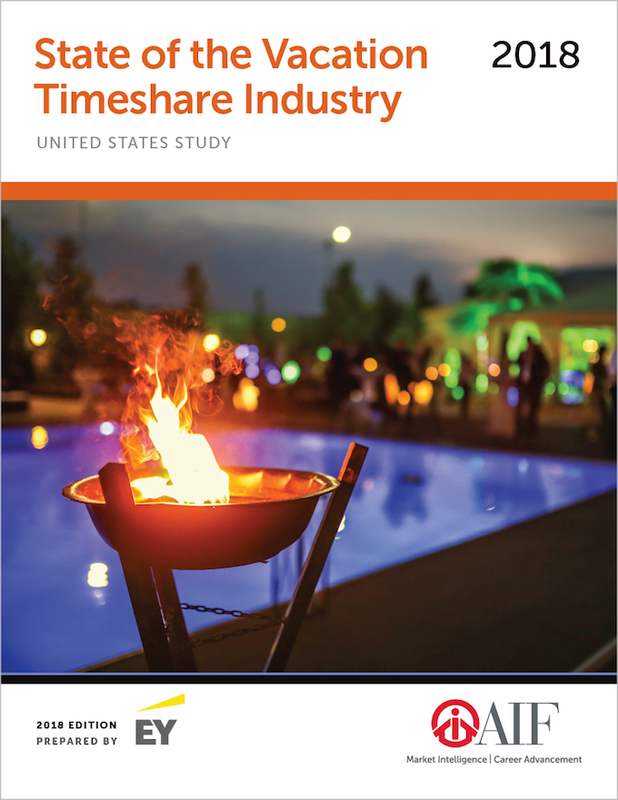 For more details, to see ARDA’s Infographic Timeshare in 2018: Paradise Found and for a copy of the full State of the Industry Study, visit www.arda.org/foundation.